Ultra Pro takes players back to their childhood for space-race adventures in its new card game Rocket Squad, releasing in June. 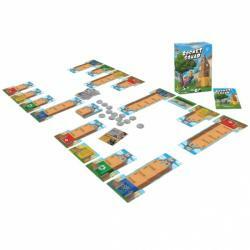 Designed by John Schulters and Sarah Graybill, the game has each player attempting to build rockets out of cardboard boxes in their backyards. The taller the rockets, the more points they are worth. 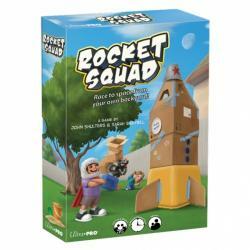 Parents, pets, and toys can be used to improve the player�s own rockets or sabotage others�. Each person must build four rockets � one each of four different colors. As soon as someone does, the game ends, but the winner is the person with the most points for their completed rockets.